Pro Tip: Mapping a printer is only required for a Zebra printer. Printing barcode on a non-Zebra printer does not require mapping a printer. 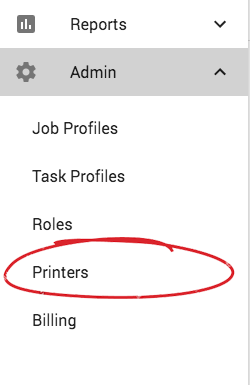 Open "Printers" from the left menu navigation. 2. Click the orange "+" sign to add a printer in the top right of the screen.